B2B or Business to business marketing and advertisement strategies require a thorough understanding of at least two key perspectives. Knowing your business is not the same as marketing your business. Many principal owners know their business inside and out and can share technical information with customers like it is the back of their hand. But, when it comes to actual Internet marketing AND Online Advertisement strategies they do not have a clue where to begin. Don't feel bad if you fall into this category. Sharing the technical knowledge is a key component especially when it comes to the online written word. Keeping it locked away only to be unlocked when showing a potential client what your company has done is not the best use of the information. I am not referring to the sharing of intellectual property which should always be regarded with protection in-mind. It is possible to share more of the generalities with out giving away any trade secrets. What would a customer be searching for to find what it is that your company does? That keywords search question needs to be addressed with very specific answers. Just saying a potential client would be doing a search engine keyword search for towers is not very specific. Is it a New hotel tower, a resort, talk about the Twin Towers, or none of the above. "Antenna Towers", well what about them? Does the person searching want to build, design, buy one, rent space for cellular communications, or send one into outer space? No, I am not really trying to be funny here, but it is important to understand your clients. Now, here is the really important part of this whole connection between the client and you, the business owner. It is important not to assume anything here. After all, who knows your business better than YOU. The content manager may be the most important link that you have on the Internet. A good content manager will have a thorough understanding of the technical side of the web in addition to having Internet marketing, online Pay per click Advertising, PPC, Search engines, algorithms knowledge, and an understanding of online branding. A B2B important point to always consider is how ethical is this person? Remember, this person is going to be representing you. Whatever is published on the website will be a reflection of the company itself. Content that is not correct can cause dire ramifications from false advertising lawsuits to stolen intellectual property or a copyright infringement lawsuit. Even if this does not occur, doing irresponsible search engine techniques can cause websites to become Web unlisted. Becoming unlisted on the Web when you are trying to reach the largest site targeted audience as possible is not an ideal marketing ethics situation. What is the ideal marketing ethics situation? Find a person you can trust. Communication words are KEY. Open door B2B policy from them. 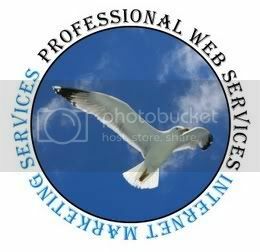 Professional Web Services, Inc. Internet marketing services, Online advertisement strategies, and great Business to business Web branding ideas.